Jorge Sandoval walks outside, looks up at the sky and sees his future. The incoming senior at Eugene’s Willamette High School wants to turn that passion for flight into a career as a manager of an aerospace engineering company. 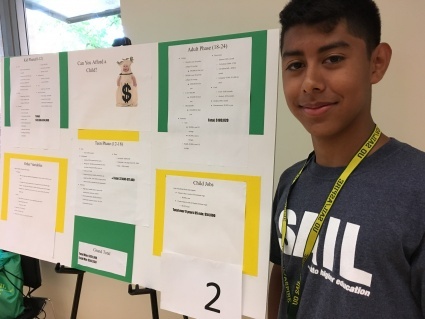 He knows that getting there begins with a college degree, a feat his parents never achieved but one he feels more confident about after spending a week at the UO’s Summer Academy to Inspire Learning program, commonly known as SAIL. SAIL hosts free one week summer programs for middle and high school students from underrepresented backgrounds. The goal is to expose students to higher education and help them navigate the college admissions process. More than 350 students from 33 high schools in the Eugene-Springfield area attended SAIL classes this summer. Faculty volunteer to run the programs. Program topics included themes like education, physics and human physiology, and product design. Sandoval opted for business, a program led by Michele Henney, a UO accounting instructor and program manager for the Cameron Center for Finance and Securities Analysis, and Whitney Wagoner, director of the Warsaw Sports Marketing Program. Students learned how to budget, manage their credit and build their personal brand. 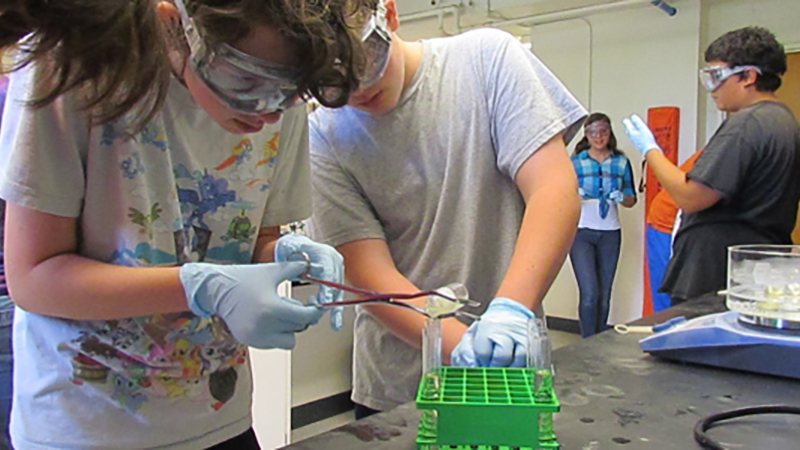 “The one constant is that we are always amazed at how very bright and talented these students are,” Henney said. Kareem Khalifeh attended SAIL three of the last four years. “I took the physics-human physiology camp, which was by far one of the greatest experiences I’ve ever had,” Khalifeh said. The recent Willamette High School graduate is working for the program this summer before he heads to college in the fall on a near-full-ride scholarship. “It made me more excited to go to college and made the application process less frightening,” Khalifeh said. In the future, SAIL hopes to expand to include a residential component so students across Oregon can take part in the programs. The program is seeking donations for the expansion. A donor is currently matching all donations up to $250,000 through December. To donate, or for more information about SAIL classes, visit the program’s website.